APN of Reliance for Android Samsung, Micromax, Sony. Is your mobile Internet not working? One of the reason for internet not working, would be your mobile Reliance APN(Access point setting) not properly installed, or your service provider is unable to deliver settings in your mobile when you talk to customer care. I had experienced the same in Samsung galaxy S and with my tablet, and so i have planned to prepare this post after testing all sim apn setting in one of my android device. Not only apn of Reliance, i had listed apn setting for all other service provider in different post, like Aircel, Tata docomo, Bsnl, Videocon, Vodafone, Airtel, Idea , Mtnl or Reliance. Settings -> Wireless and Networks -> Mobile Networks -> Access Point Names (APN). For adding new APN setting, select or click option button of your mobile and select “New APN”, or you may even edit the existing APN by selecting edit. 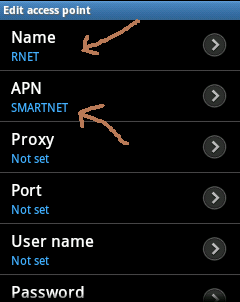 If SMARTNET doesn’t work, then try “rcomnet”, in Apn field. 3.) Don’t make any changes in other fields, i.e Proxy, Port, User name, Password, Server, MMS proxy and MMS port except MCC and MNC. Edit MCC (Mobile Country Code) and MNC (Mobile Network Code) according to your network area and country from list provided below. APN of UNINOR for Micromax, Sony, Samsung. APN of MTNL for Micromax, samsung, sony. JIO APN setting for Micromax, Samsung, sony. APN of Docomo for Micromax, sony, samsung. 4.) Select option, and then save this setting. I suppose that after setting APN of Reliance in your mobile, your mobile internet connection would work properly. You may be interested to see how to enable 3G or HSPA internet connection or 4G Reliance JIO services. If you are having problem in accessing internet, post your comment below with problem, and so that we could suggest the solution. Disclaimer: Although, we have taken utmost care in gathering correct APN setting of Reliance service provider from our reliable resources and with our own research and experience, but we are not responsible for any inconsistency and inconvenience in accessing internet as we not a part of any of the service provider. b. Whether I have to change MCC and MNC accordingly? c. Any other modification required? The error is coming as”You have left the home network”. Hello D P Das, dont change MNC code. Let it be same as what you already had in West-Bengal. Just check the Data – Roaming along with Data packet check box in Mobile networks. My Reliance sim of jammu & Kashmir circle is not showing e signal on my Samsung galaxy grand despite mobile data set to on..kindly help, sir..
for your mobile from micromax .so dont go for it. My mobile Micromax A26 Reliance 199 plane .net speed very slow how to speed increase in 2g gprs settings. I’m going through as per your setting but not working..
Hi I am using Micromax bolt a61 mobile and don’t know why every time I open Google play store app it shows connection time out. I am using a reliance 3g sim. I have 2g internet pack activated in d sim but all I can do is access pages through opera mini, I can’t download or access play store app. What should I do,can you help me out.Oh I forgot to tell that I am from Assam.Please help me out.You can email me,what step I should take. I recently bought HTC J CDMA handset. Earlier I was using Samsung Corby TV on which I was able to connect internet without doing any setting. Now, when I’m using the same Reliance CDMA Prepaid card on the new handset, I am unable to connect to internet whereas calls and sms are working fine. Under “Mobile Network” in “Settings”, it says : Disconnected. 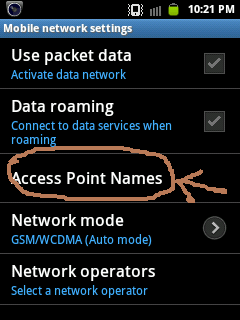 Also, when I tried setting up APN using the above parameters, it says : Please insert SIM. What might be the problem ? Please advise. Hi ths is akshay from jaipur. I m facing problem in using 3gnet on reliance . Whenever i connect frm net it doesn’t show (H ) for 3g net and i fed up now. My other problem is gsm sim is not getting active always showing no service. when i tried to search network manually its not getting registered. but still there is no data connectivity. Hi I purchased a cracked MTS Android mobile for use with Reliance mobile..is there any way we can use internet in this…I tried the APN..but it is not getting set.. I have parched a new micro max bolt A 075 on february from home shop 18 .its a dumy phone this is not working properly.its always hung and misbehave. data is not working . phone calls are missing and its a very slow phone please don’t parched it. Hi, I have had problems since day one. I got Reliance prepaid card and a 1GB 3G plan on it. The signal was showing E at all times. My colleague brought to my notice that I am not getting a 3G signal, so i called customer care, they sent me gprs settings and after that i started getting an H signal. But later when I went for a walk downstairs the signal became E again and when i returned to my desk it was H again. At my home i am always getting an E signal? Why is this happening? As far as I know E is 2.5G and H is 3G. My collegue gets an H signal all the time. Can you suggest what can I do? i am using sony xperia e1 dual after the said settings i perfectly typing these settings but till now i am not able to connect internet.this apn is not showing in the list after typing and saving. kindly help me to connect reliance netconnect to my device. Hello,I have just purchase Samsung core I8262.I have placed my reliance 2g sim in sim slot 2 and have installed a pack of Rs.99 on it.I have done all the above mentioned settings.Still neither E symbol is shown nor I am able to access net. Please help me out sir. The same problem as yours is now in my mobile. If you had solved the same, please help me out. Also I want to know whether it is mobile problem or network problem. Sir i purchase, micromax canvas duet ii eg 111, because of only good battery back up and dual sim. already i try every possible seetings but still it not works. Expecting your kind c-operation to solve my probles. I have reliance 3G sim and also 3G pack in it but 3G net is not 2G is working and showing can u plz solve my problem. .. I have reliance 3G net in 3G sim but it showing 2G network can u plz my problem. .
How to access 3g when on roaming. Mai samsung gt-19300 us kar raha hu reliance gsm sim hai.3g pack hone ke bavjud 3g use nahi kar pa raha hu.2g hi chal raha hai.please help me. I have rooted my nokia x androi into jellybean 4.1.2 after that i have promblem. Of internet connection for reliance, the APN does not appear even if i set new APN or neitheir appear default APN suggest plz. you are genius bro… I had a difficulty regarding APN setting for reliance 3G GSM. I just followed your instructions and got the net right after 2 mins..
what’s is the APN settings for huawei mtag 3.1 handset??? Im using micromax canvas 4. My issue is about the data vonnevtion.followed ur above mention d steps bt still faving the prob.wi fi works bt as soon as i put off wi fi data connwction dsnt wrk.plz help.tired of callig reliance. I have reliance net connect+ Dongle, I am trying to connect to my samsung Tab 4. After completing APN setup its not getting saved. After making the changes given above I m not able to get 3g speed.What should I do? I brought my new samsung galaxy grand 2 but after using one month it create problem in connecting the internet. I also try the above given setting for access the net but I am an able to connect the internet please solved my problem. same issue i am facing in my Grand 2 handset. I tried the above setting on MMX A116 with 3g connection but its downloading speed is around 3-8 kbps but tried with vodafone average downloading is 400-700 kbps. I already done reset but when tried with reliance getting same speed of 4-8 kbps. Please help, your prompt reply will be highly appreciated. they are not visible and internet also does not work..
Hi I am using galaxy core i8262 since 8 months. I am using two sims. One of which is under roaming always. So it has always shown a roaming page as mt home screen and roaming short cuts as well. By mistake I deleted that page. I really don’t know how do I create it back. I really need it. It was very helpful for me. Plz suggest what to do. I tried everything in settings. Somebody plz help if you know. Thanks. I have a samsung galaxy star advance SM-G350E handset with reliance 2G sim having 500 mb net balance but I face problems when opening play store in my mobile the message comes “NO CONNECTION TRY AGAIN” This problem arises from day 1 of my purchaging of sim & phone still 1 week continuosly plz help me with proper suggestion that i can open play store & down load perfectly. another problem is there is a R symbol shows on my network where as i am in maharashtra with maharshtra sim. & roaming message comes on the time of network connection. why? I am faisal from Mumbai city.. I have a samsung galaxy pop cdma handset , model no- sch1559.. i am currenty using reliance cdma sim card.. i want the apn setting for my device.. display show..
Kindly help me to fill this form.. I am waiting for your response.. I want to know why reliance internet is not working from last 4 days in any of the gsm sim cards. we all have checked all the settings but still the reliance internet is not working. please suggest me something about it. these settings are not working for google nexus 7 tablet. !! Hi I’l be grateful if anyone can help me solve my problem. I am using Lenovo A526 and I recharged my reliance sim with 177 net pack. That night this netpack was working but from the next day did not work again so if anyone knows why it is like that then please help me solve this problem. Hi sir, i am using xperia z3 compact and i am having some issues with 3g connection. I cant access play store and youtube etc etc apps i can browse, i can use whatssapp and fb bt the connection speed is very slow. I dont see the h+ sign that i used tp see in my old phone. Help me plz!!!!! using canvas nitro with reliance gsm 3g is not wrking ..
Can you advice how to use reliance net connect or any other dongle in smartphone via USB code …????? My phone is micromax canvas AE 90 cdma/gsm mobile, i cant able to open play store, gmail syn, etc but opera min and whatsapp are working but I cant download any images /video or audio from Whatsapp. Just I gone through APN edit but MCC and MNC cant editable . so kindly inform to me ADD new or Edit existing APN in above mentioned phone. help . hi there im using xperia z ultra . i wana connect reliance modem (netconnect+) to my phone. i trayed ppp software for that but it dosnt work .pls any solution . hey Thanks a Lot !!! you guys are gr8 !! Good one… Worked for my Yureka My reliance 3g on is working — or adding new APN setting, select or click option button of your mobile and select “New APN”, or you may even edit the existing APN by selecting edit. Thanks rujul for giving valuable information. I have tried ur way but the E sign comes and disappeares after 10 seconds . I’m using reliance sim. I bought a 1gb data plan. But the net is not connecting. I have nokia c2 mobile. When i connect to net it says “temporary network problem”. I called customer care. But till no improvement. Help, please. 3g symbol is not showing BT I had taken 3g connection for my lava iris 360m. Hello sir, I have done all apn settings suggested by you, yet my network showing that “R” symbol what to do now?? I am using Marco max eg 111(canvas). But no data setting.please halo me. I am using micromax canavas eg111. i am nt able to connect to the reliance cdma data (RIM) INSPITE OF TRYING THE ABOVE GIVEN INFORMATION. I would like to seek ur help. I have a HTC mobile with model number HTC Wildfre S. I have a Reliance CDMA sim connection. I tried to connect to the internet but not able to do the same. When i use SMS method to get the settings and send sms ALL to 55100. My sms delivered but i didn’t receive any message from reliance. I also tried to set it manually as above. But when i save the APn after writing all the settings, APN does not show in the APN list. Please help me to do something. my location is bhiwadi (Rajasthan). I’m having problem using reliance internet. waiting for ur valuable response. Am using Samsung galaxy core prime hanset with reliance sim but I don’t know how to set internet in this mobile am doing all Ur ideas but no use… pls tel me how to use internet in my phone…. I am using datawind calling tablet7c.my application settings are all correct but internet is not working. The ‘E’ symbol is not shown.pls tell sir what i do next? I am using samsung j5 mobile. Now I am trying to connect reliance netconnect plus dongle to my mobile through otg cable (ppp widget). But it is not connecting. Can any one help me on this. now what should i do ????? ?